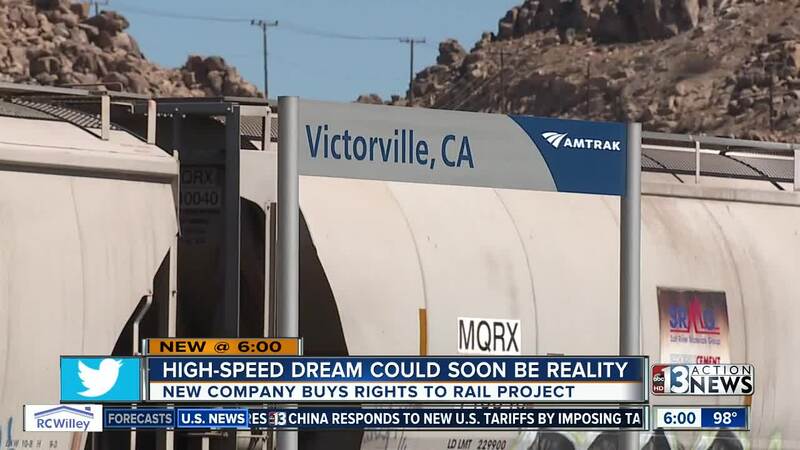 (KTNV) — There might be hope again for high-speed rail between Las Vegas and Southern California. Brightline, which already operates passenger rail service in Florida, has agreed to acquire XpressWest. The federally approved project includes 38 acres of land adjacent to the Las Vegas Strip. If approved, the light rail would transport passengers between Las Vegas and Victorville, California, in a little under two hours. There has been talk of a high-speed rail for several years. The XpressWest project was once expected to break ground in 2012. Brightline says that construction is expected to begin next year. The company has already launched a passenger service in Florida, running between Miami and West Palm Beach. Talks of rail service returning to the Las Vegas alley have come to a halt many times over the years, but officials in Florida say Brightline is the real deal. “You can work and be productive and save a ton of time piercing through traffic,” says Francis Suarez, city of Miami Mayor. The first phase of the corridor is expected to be built along Interstate 15, traveling 185 miles with no street crossings. Trains could reach top speeds of 120 miles per hour. In Victorville, the city is already serviced by Amtrak, but not with a route to Las Vegas. Locals like Monica Lockett say the Brightline tracks would be key. When passengers get off the train in Victorville, they can check out Historic Route 66, which runs right through town and is filled with mom-and-pop shops and restaurants. “Hopefully people come by and check us out,” says local Miguel Murillo. Brightline says construction will start in 2018 and service to start in 2022. Future plans include a complete route to Los Angeles.